I’m playing with one of the smallest and most popular PC like computers on the planet. It’s called the Raspberry Pi (RPi). Now available in many editions and and special application configurations. Why? Just because I can. It’s a very intriguing bit of hardware. It’s a bare bone credit card size circuit board. It’s primary operating system (OS) is Linux, which I love and understand. It can also be enabled to run on several other OS software. Google “raspberry pi” if you want the complete description of the hardware. No need to explain here. The real surprise is it can start and run programs like any conventional laptop or PC (Linux) computer. That’s how I am using it now, writing this in LibreOffice – Writer application. I am also running my email with Thunderbird at the same time. Just like a standard PC. The primary goal of the Raspberry Pi is to bring a low cost computer (and computing) to the potential masses of people (and kids) who can not afford major costs of the usual commercial hardware. What has happened is that goal was achieved, but it also provided a huge group of users with a low cost powerful computer that can affordably and easily be modified for any computing purpose. The RPi makes an excellent embedded system for all types of control applications. The I/O buss is readily available to the technician. The high level OS provides for easy code writing. 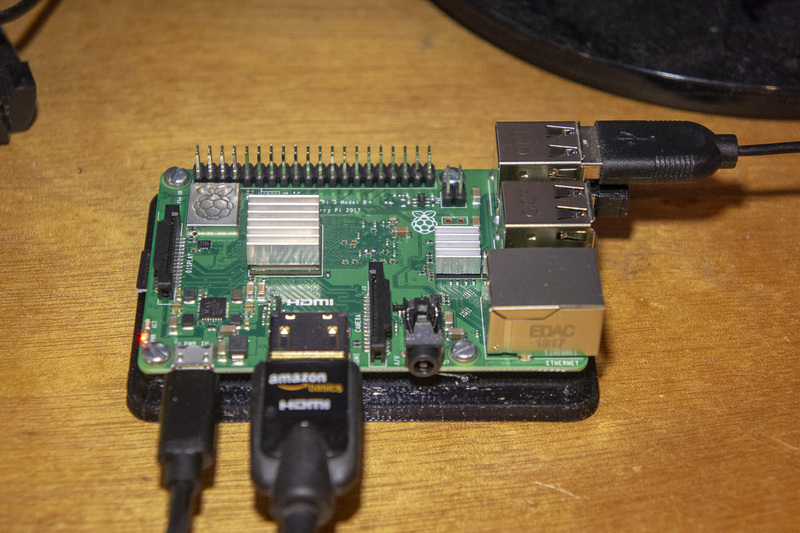 Without getting into detail, its enough to claim there is something for everyone with the RPi. Run it like a personal computer on the internet. Not the most powerful PC computer, but fully capable. 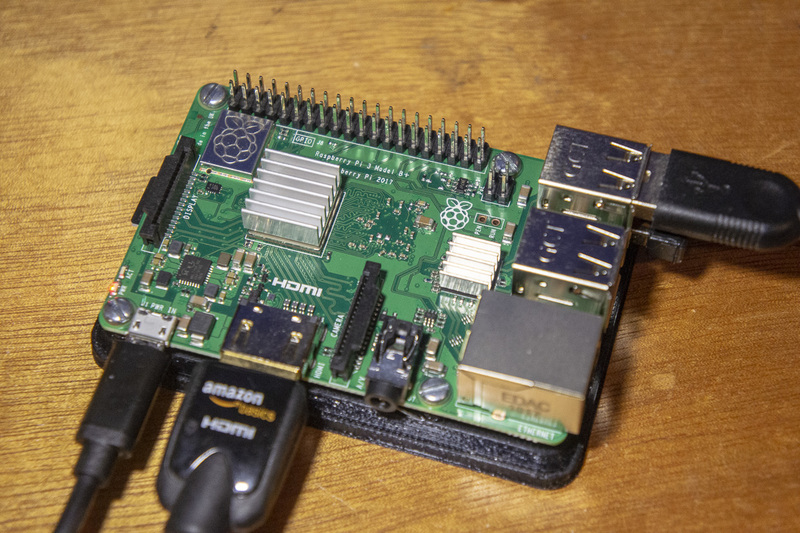 Or, like a similar sized control computer (the Arduino), turn the RPi into a powerful control computer running a robot, weather station, or a 3D printer. The Arduino doesn’t operate like a PC running text editors and web browsers. It doesn’t have a PC operating system. But otherwise is an excellent control application system board. 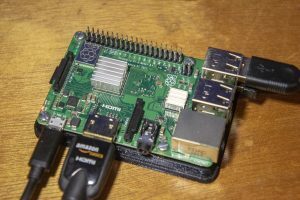 It seems certainly possible (I haven’t tried this) that a RPi could be used to write the control software for the Arduino. There is a Linux version of the Arduino compiler. As I mentioned, my present short-term goal is to run the newest iteration of the Raspberry Pi as an email monitor. I use IMAP and can monitor email from all my on-line computers. With the extreme flood of virus emails hitting my public email addresses, it is far safer for me to receive mail on the RPi Linux system than to risk contamination of my major computer systems. With IMAP, I can switch to a more critical computer system to manage business email whenever necessary. I could do email monitoring with any PC of course, but crashing or contaminating a $35.00 RPi Linux OS computer is not a serious bad day. NOTHING critical will live on that single RPi. I say short-term, as I will certainly find other tasks and experiments I will do with the Rpi. Or for $35.00, simply buy a new RPi. 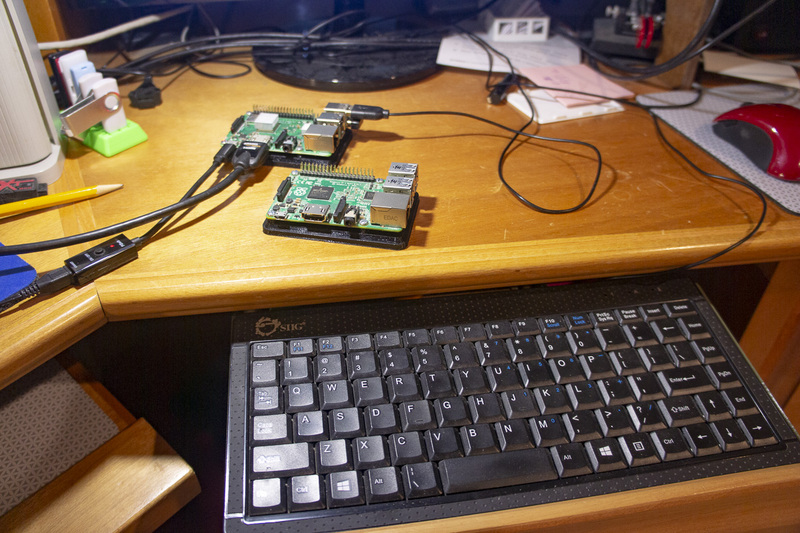 I have three versions of the Raspberry Pi’s at the present time. Each is a different edition. Each new edition is better performing than the previous. 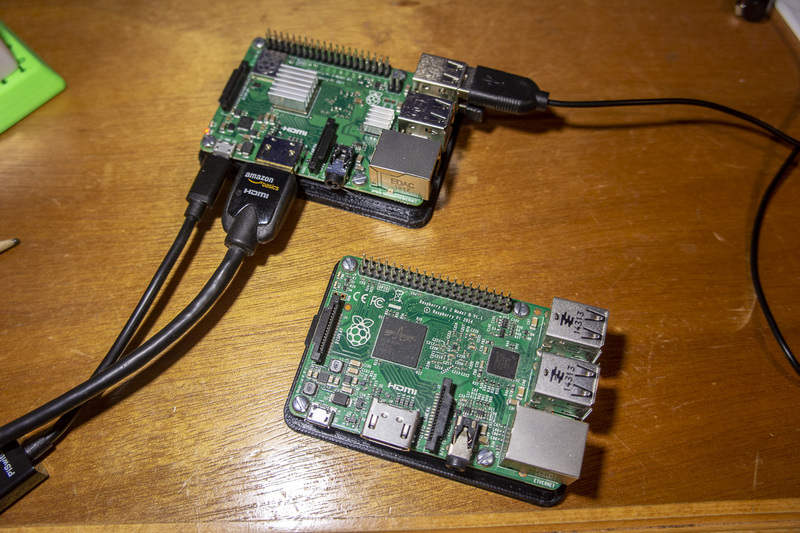 The Pi 2B and the Pi 3B+ share the same basic physical configuration and can share the same cases or mountings. I three-D printed a plastic base mounting plate for both of these “B” models. It’s the black base seen under the circuit boards. This keeps from dragging the bottom of the printed circuit across the desktop while keeping full access to all the pins for plug-in accessories. I have a friend who added a commercial case with a built in fan to his RPi3B+. The processor gets a bit warm (60 deg C) under high loads – like running video. The case makes the Pi really look professional. The RPi in the pictures with the wiring connected is the newest and is the one being used to write this post. I placed heat sinks on the processor and the USB/Ethernet control chip. The entire circuit board helps dissipate the thermal load, so I suggest running naked (no case) like I am doing here, or use a case with some forced (fan) cooling. Boxing this newest RPi up tightly in a small case is not best practice. Doing that wont break anything but the processor will slow itself down to control temperature and performance will suffer. Overall, the newest RPi is possibly the best bang for the buck mini computer that can handle high grade video and is truly practical for use surfing the Internet and managing email. With LibreOffice it makes it usable certainly in any home office or small business. Corporate offices may take issue about it’s network security and Linux operating system. Corporate IT typically want brand name computers they can control and manage on their networks. For me it is an outstanding experimental system with none of the worry of using high cost desktop or portable systems when trying unusual software and hardware applications. I wouldn’t think of running my yard sprinklers directly on the computer I use to run my business operations. I would certainly give it a try with a Raspberry Pi. Really! That commercial case dropped my temps into the low 40’s. About 42’C to be exact. And then get this case. Best $10 I ever spent on a Pi!! !